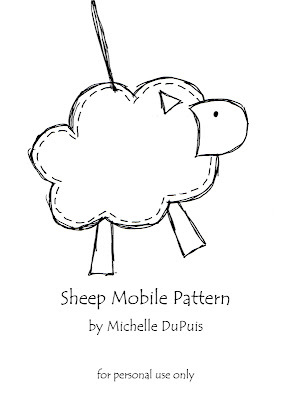 I originally posted pictures of the sheep mobile I made for my son's nursery here. After many requests, I've finally put together a pattern for anyone who wants to make their own! Just click on the picture above and you'll be directed to the free downloadable pattern. I'm not an expert seamstress, so feel free to ask if my instructions don't make sense. Since I know it always helps me when I can see the finished product, here's a few photos of the completed mobile (see more here). Sheep jumping over the log fence. Embroidery hoop wrapped with twine. What a cute little mobile. Thanks for sharing. now searching for the ring to hang them..
cant wait to see my sister in law's face.. this is for her son.. This is so cute! Could you show what the top looks like (how you tied the four strings together)? I used two long strings and tied each end to the hoop, then I just tied a knot at the top to join them together. 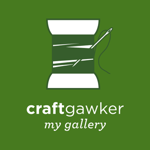 I left about a 1 inch loop above the knot to hang it from. I love this, especially the one jumping over the fence!